I have not tried any books by this author, under either name. This one sounds like a good place to start. Most people seem to agree that his pre-war books are his best. Unfortunately his books are not that easy to find. A couple of the Miles Burtons have now been re-issued in paperback. 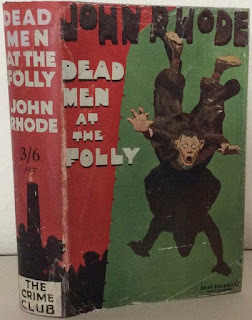 The only way to find the John Rhode books is to look for used copies. Copies of The Venner Crime and The House on Tollard Ridge are quite cheap and they're both extremely good. Dr Priestley Investigates (which is also excellent) was issued in paperback many years ago and can be found for reasonable prices. There was a 1980s paperback edition of The Claverton Affair that is also easy to get. Thanks for those suggestions. When I buy older books, I prefer to look for used copies because I like the covers, paperback or hardback, although hardback are sometimes too expensive. The only problem with old paperbacks is if the text is too light or too tiny and hard to read. So I will follow up on some of those titles. Agree with your sentiments here, especially the last two paragraphs. Dr P has been underappreciated as a totemic character and Rhode's milieu can be quite interesting. And his best books offer such densely plotted mysteries. Maybe if we tell people this is a Christmas mystery it will get reprinted. All kidding aside that might just be an extremely good idea. The British Library would go for it - they seem to understand marketing. And the rights-holders might go for it since that way it might make some real money. 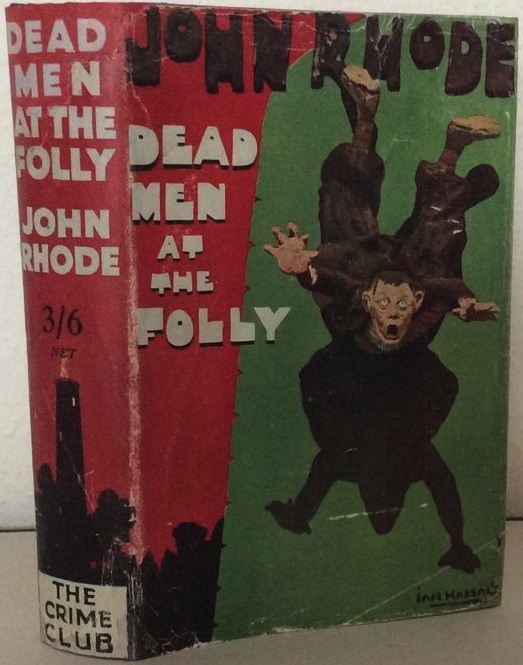 Just re-title it Dead Men at the Folly: A Christmas Mystery. So we're going to weaponize the Spirit of Christmas to bring these forgotten gems back under everyone's attention? I approve!